On the surface, it's not a lot different than the company's current LTE: the icon is the same, the phones are basically the same (we'll actually get to a list a little bit later), and no modifications are needed to current plans. 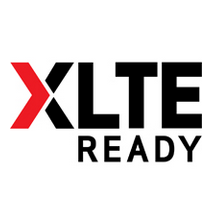 XLTE is about making sure customers in big cities – places that are generally congested – always have the bandwidth and speed they need to get things done by allowing access to both 700 MHz and AWS spectrums at the same time. This, in theory, should also alleviate some of the traffic on the 700 MHz spectrum, so customers who don't yet have XLTE-ready devices should see some additional bandwidth, especially during peak hours. For a list of XLTE cities, check out this PDF, and for more information on Verizon XLTE, check out the company's blog post.